Fun fact. 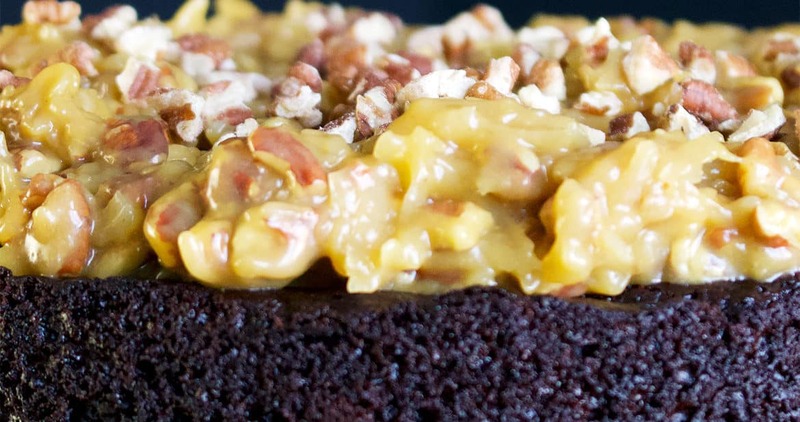 German Chocolate cake is not actually German. The cake is a totally American invention. Here’s the story. In the 1850’s an English American chocolate maker named Samual German created a kind of sweet baking chocolate for Baker’s Chocolate. The company named the chocolate after Samuel, calling it German’s Chocolate, a product they still produce today. 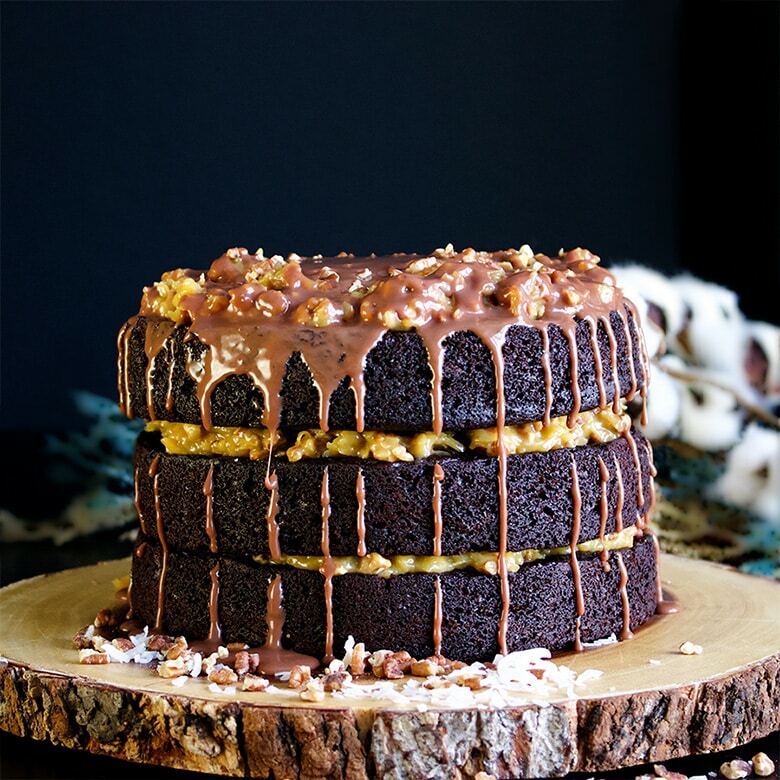 In the 1950’s a homemaker in Texas sent a recipe for German’s Chocolate Cake to the Dallas Morning News, who published it in their popular “Recipe of the Day” column. General Foods, which owned Baker’s Chocolate at the time, took notice of this recipe and started distributing it to newspapers across the country. The campaign worked. Baker’s chocolate sales skyrocketed and the cake became a national staple. At some point, the German’s Chocolate Cake became simply German Chocolate Cake, leading all of us who don’t know the story to believe it comes to us from Germany. Another fun fact, German’s Chocolate is really super sweet and generally no longer used to make German Chocolate Cake. I certainly wouldn’t use it. However, I DO use Baker’s chocolate in this German Chocolate Cake – choosing their 100% unsweetened bar instead. 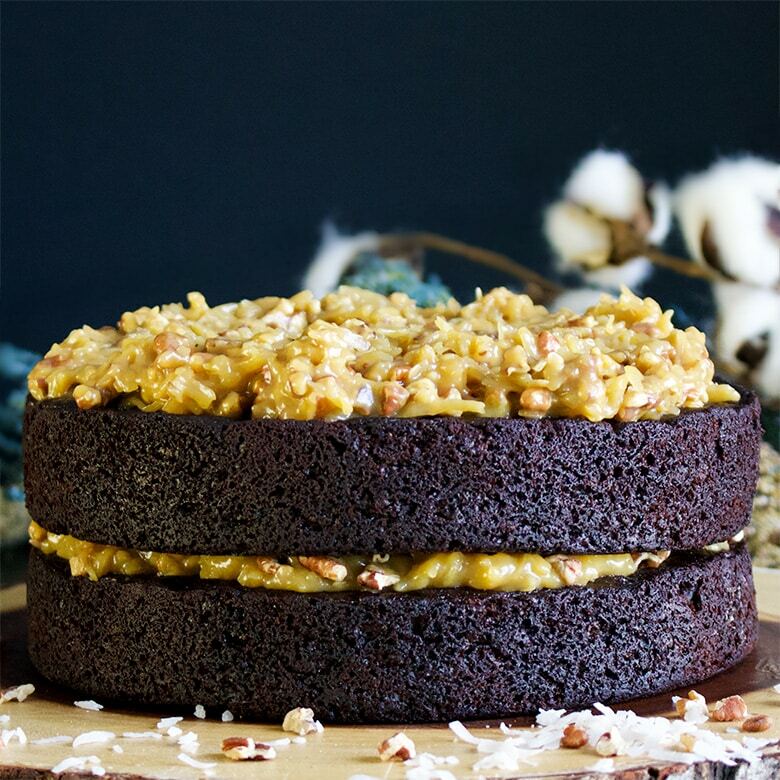 Now that you know the history, let’s talk about what makes a really super delicious German Chocolate Cake. #1. Start with a really good Devil’s Food Cake recipe. It should, perhaps, go without saying that a good German Chocolate Cake begins with a really good Chocolate Cake, and yet I’m saying it. 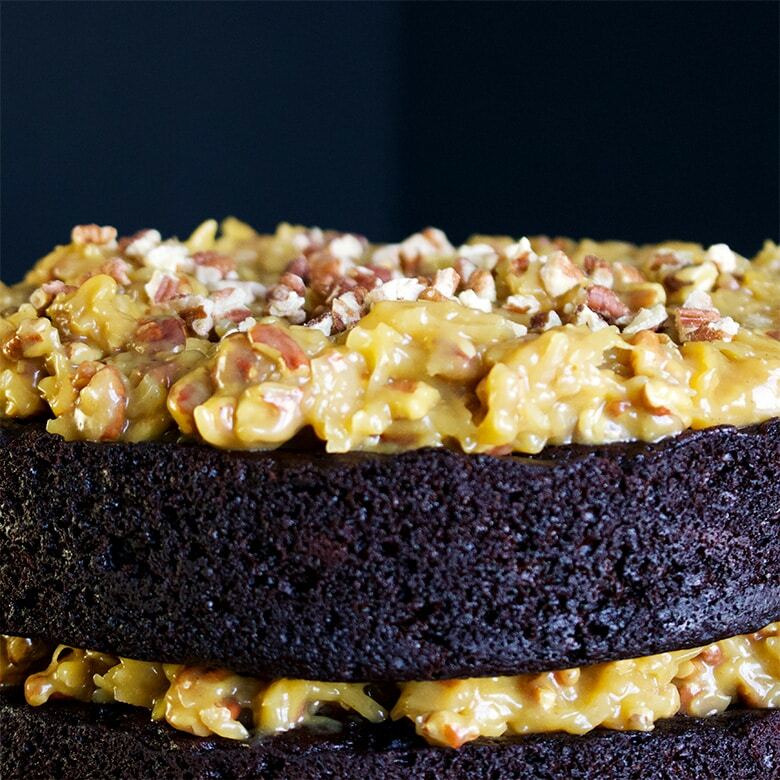 Although the original German Chocolate Cake recipe likely involved a cake that was on the sweet and airy side, I much prefer layers of rich fudgy Devil’s Food. Devil’s Food Cake is arguably the only chocolate cake recipe you’ll ever need. 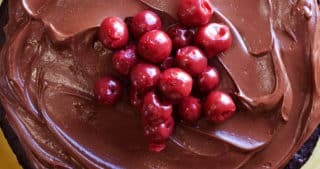 Like Black Forest Cake (a cake that actually does originate from Germany), and Blackout Chocolate Cake (more chocolate please), German Chocolate cake should be rich, super moist, and deeply chocolate. The coconut pecan filling is sweet enough. 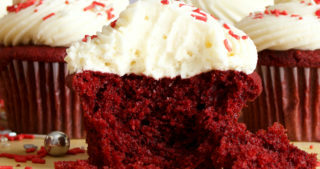 Pairing it with a super sweet cake will just put you into a sugar coma. #2. Coconut, Pecans, and Caramel. Let the filling simmer until it’s thick enough to support layers of cake. If you make two batches of filling for German Chocolate Cake, toasting the pecans in one batch and leaving them raw in the other, the magnitude of the difference will shock you. Trust me. Toasting the pecans brings out their flavor and contributes depth and complexity to the filling that you just can’t get if you leave the nuts raw. 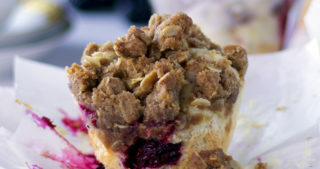 Wait to add them to the filling until right before you assemble the cake so that they retain their crunchy texture. Most German Chocolate Cake recipes call for either all white sugar in the filling or a combination of white and brown. After testing multiple batches with a variety of white sugar to brown sugar ratios, I found that I much prefer all dark brown sugar to every other option. 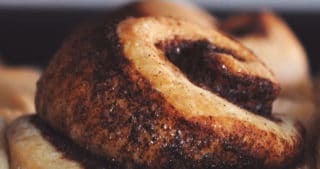 The molasses in brown sugar is absolute gorgeous in combination with coconut and toasted pecans, and adding white sugar to the mix just dilutes the effect. Finally, be sure to let the filling simmer for a few minutes so that it thickens up. 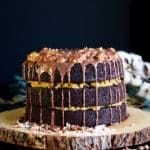 Many German Chocolate Cake recipes tell you to bring the filling to a simmer and then stop cooking it, but this results in a runny filling that doesn’t hold up well in-between stacked layers of cake. Letting the filling simmer for a bit will ensure that it’s thick enough to hold its own and not ooze out when making a layered German Chocolate Cake. I feel that anything with “ganache” in the title needs little in the way of explaining that it’s gonna be good. I will, however, say this: Equal parts milk chocolate and heavy cream = silky smooth chocolate sauce perfect for drizzling over the top of German Chocolate cake. 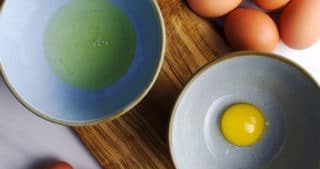 Crack the eggs into a medium size saucepan and whisk to combine. 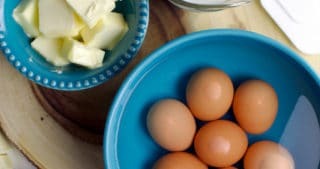 Slowly pour in the evaporated milk, whisking it into the eggs as you pour. Add the brown sugar and salt and whisk to combine. Add the butter and set the pan over medium-high heat. Bring the mixture to a boil, stirring constantly. Turn the heat down to medium and continue to cook, stirring constantly, until the filling is slightly thickened, about 6-8 minutes. Pour the filling into a bowl and stir in the vanilla and coconut. Let cool to room temperature then cover and refrigerated until completely cool – at least 2 hours, and up to 3 days. Put the chocolate chips into a small bowl. Heat the cream in a saucepan or in the microwave until small bubbles start to appear around the edges. Pour the hot cream over the chocolate and let stand for 5 minutes. Stir until the chocolate and cream are completely blended. Refrigerate for at least 1 hour and up to 3 days. Stir the toasted pecans into the filling. 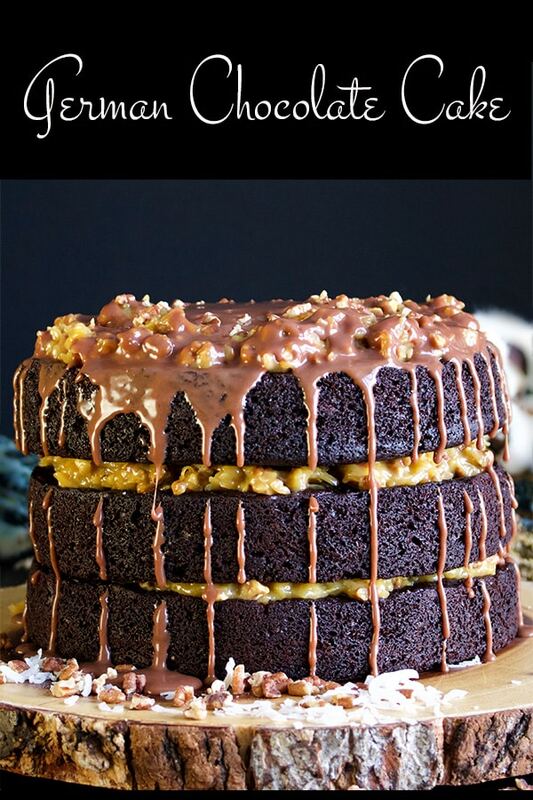 Place one layer of Devil’s Food Cake onto a serving platter or cake plate. Spread the cake with 1/3 of the coconut pecan filling, spreading the filing to within a half inch of the edges of the cake. Top with a second layer of Devil’s Food Cake. Spread the second layer with another third of the coconut pecan filling. Top with the third layer of cake and spread the top with the remaining filling. Drizzle the milk chocolate ganache over the top of the cake. If you’re using frozen cake layers, let the cake sit out at room temperature for 1-3 hours before serving. The assembled cake can be stored covered in the refrigerator for up to 24 hours. Bring the cake to room temperature before serving. Pro tip! 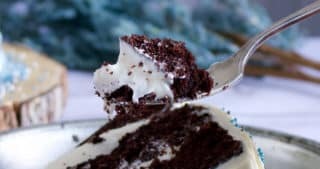 Devil’s Food Cake has a very tender crumb – a quality that makes it meltingly delicious, but can also makes stacking three layers a bit challenging. Freezing the cake layers for at least 1 hour (and up to 3 months) makes assembling the layers much easier. 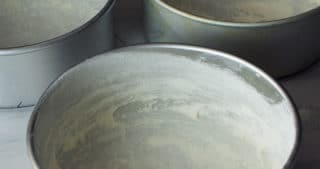 If your cake layers have been frozen for more than 1 hour, let the assembled cake sit out at room temperature for 3-4 hours to thaw before serving. After letting the cake thaw at room temperature, refrigerate the cake if you’re not serving it right away. To Toast Pecans: Heat your oven to 350 degrees. Line a baking sheet with parchment paper and dump the pecans onto the sheet, spreading them out into an even layer. Toast in the oven for 5-10 minutes, until they are a rich brown and smell super fragrant. *Watch them carefully. They burn easily.